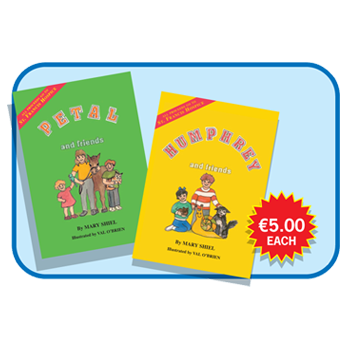 Children’s Book – Petal and Friends- €5. Petal is a beautifully written and illustrated book for children containing three stories. In story one meet Petal the Pony. In story two find out about Bingo the Budgie and his new life with Emily and her family. Last but not least, join in the adventures of Carlos the Kitten and his owner Tommy. To find out more read this wonderful book. Written by Mary Shiel and Illustrated by Val O'Brien.